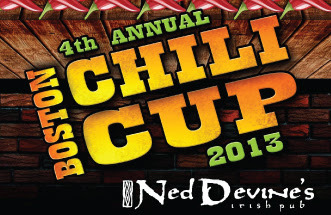 A friendly Chili competition between local Boston restaurants to raise money for Community Work Services! Live music performed by Herland Brothers! Sponsored by Ned Devine's, Corona, Don Julio, Sysco & Trimark. $10 Tickets include entry and all you can eat chili! $15 Tickets include entry, all you can eat chili & one Corona-rita with a specialty cup you can keep!